The payments sector is constantly evolving; becoming even more complex and competitive. It can be tough - and will get tougher. Monek is here at Money2020 to show how we have harnessed the "Power of Simplicity." We help companies like yours instantly increase sales by 35%, whilst reducing costs by 25%. We also help keep your businesses safe from regulatory problems. • Informative business dashboard and more detailed reporting to help you make better informed decisions. We provide, or join up, existing systems typically used in selling payments services. Our approach removes operational inefficiency and helps eliminate "sales leakage." We use our expertise to make it easy for your customers to sign up to the services you offer and help you build longer term and closer relationships. The Monek platform also puts you in control. We can help you become more independent from dominant partners and even give you the freedom to choose from a range of payment hardware vendors, whilst maintaining a single terminal management system. 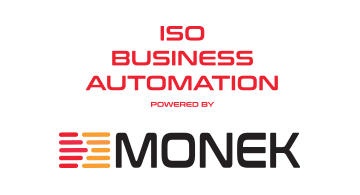 There's lots more we can tell you, so come and see us on the Monek booth in Startup City at Money2020. We look forward to talking to you and telling you more about our services and introducing you to some special offers for the event.